Start a new Land Rover question. 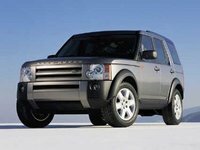 What are the common Range Rover issues particularly for 2013-2015 models ? Can The Height Control Be Set To Stay In The Low Ride Setting? Looking for a way the lower the narmal ride height to be the same as the low ride height. Makes is much nicer to enter and exit the car. 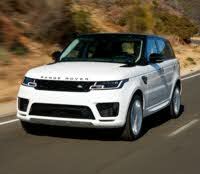 For half a century, Land Rover has been the most prestigious marque in the sport utility world. Land Rover introduced the concept of offering up military-grade off-road capabilities for public use. The company was an off-shoot of the British automaker Rover, and ownership has changed hands many time since the late 1940s. Land Rover is now owned by Ford Motor Company. By the 1960's, when Land Rover became a subsidiary of British Leyland, these simple but distinctive sport utility vehicles had spread to the remote corners of the earth, and were being used in a variety of safari and military pursuits. The Toyota Land Cruiser was a direct competitor, offering both better service and reliability. Land Rover got an edge in 1970 with the introduction of the Range Rover, which is arguably the world's first luxury SUV. The Range Rover officially arrived in America in 1987, after many years as Grey Market import. While The Chevy Suburban and Jeep Wagoneer were similar vehicles, they could not keep up with Range Rover in the luxury department. Soon after, Land Rover reinvented its original off-roader. In the early 1990s, the Defender 90 and Defender 110 models arrived in America as long overdue replacements for the Series III 88 and 109s. These new offerings nicely complemented the Land Rover Discovery, which was a more family-oriented SUV for less money than the Range Rover. However, the Discovery was no minivan. Perhaps you've heard of the Camel Cup?